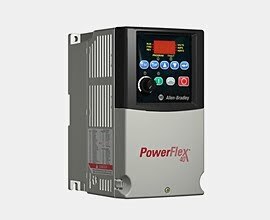 Allen Bradley Power Flex 40 VFD is a very powerful drive and widely used in industry giving high and efficient motor control. There power rating vary from 0.4kw to 15 Hp. Communication protocols which can be used with this drive are Internal RS 485 and Common Industrial Protocol (CIP™) communications including DeviceNet™, ControlNet™, and EtherNet/IP™ communication. One of its very advance feature is V/Hz and sensorless vector control. Subscribe to Automation-Talk by Email.